The most important thing you need to know about skiing in April in Italy is what ski slopes are opened and functioning. And here’s a list of the top 5 ski area where you can find snow and fun even in spring. 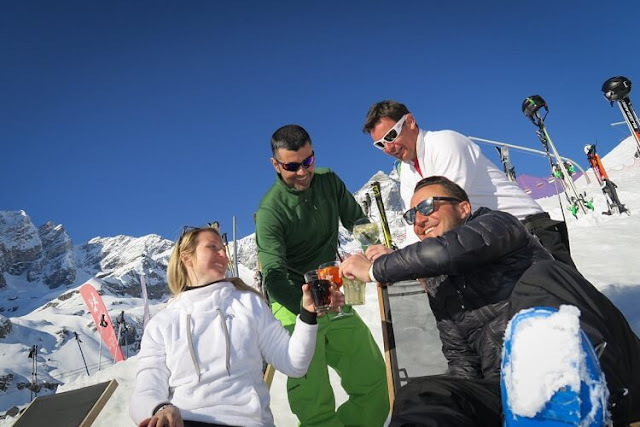 If you want skiing in april the first ski slopes to take into consideration are those of Breuil-Cervinia Valtournenche area, in Valle D’Aosta. In this inspiring wonderland at the foot of the Cervino, even in Spring you’ll find a snowy paradise where you can ski and play all activities you could imagine to do on the snow. 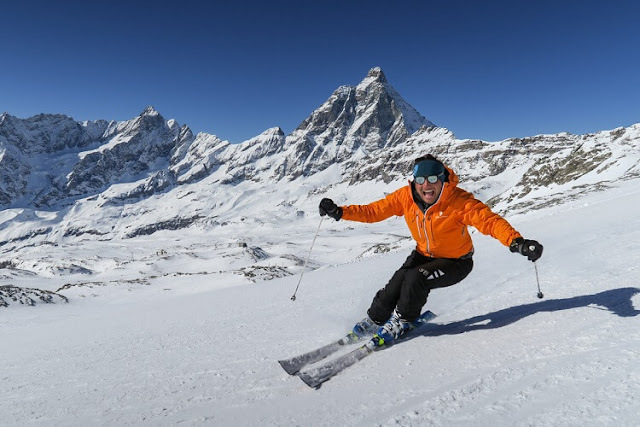 Alpine skiing, Snowboarding, Snowpark, Ski schools, Night descent, Snowshoeing, Cross-country skiing, Ski mountaineering, Skating, Mountaineering, Paragliding, Indoor climbing, Snowmobiling, Walks, Mountain Museum visits and many others that you can check on official site Cervinia.it . Breuil-Cervinia Valtournenche is the highest ski resort of Italy. 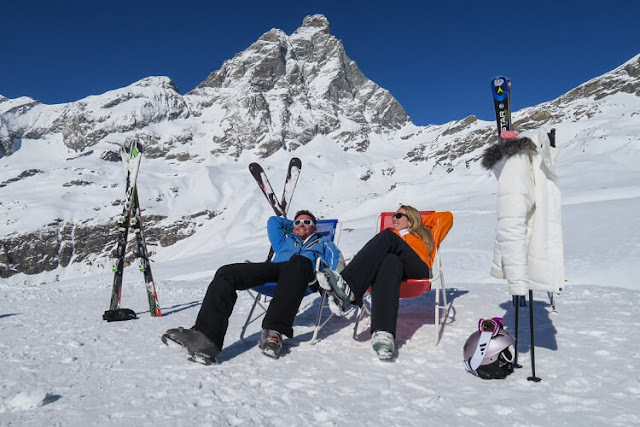 In fact the ski lifts from Breuil-Cervinia carry up to the 3,400 meters of the Plateau Rosà. And you can climb even more. There are lifts starting from Zermatt that will take you up to touch the Piccolo Cervino, at an altitude of 3,900 meters. Just out of curiosity: Breuil-Cervinia has been renowned since the end of the nineteenth century, when some alpinism pioneers attempted to conquer the summit of Mount Cervino. The first one who claimed victory was an Englishman, Edward Whymper, that conquered the summit on 14 July 1865. Here we are in the Dolomites and we’re talking about another historic location. The first hotel of the Passo Rolle dates back to 1873, when an Englishman (and that's two!) demolished the woodshed of an old hospice and started the commercial hospitality business. 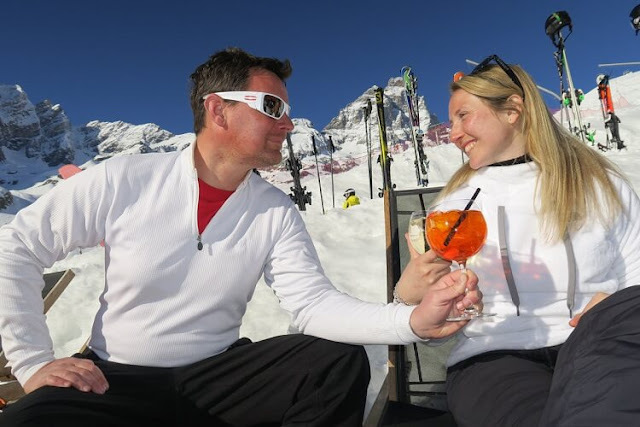 In San Martino di Castrozza there are 45km of ski sloped at 1,450 meters above sea level and there is no shortage of things to do. The landscape is so scenic. It is famous because Marmolada ski lifts start from here and they arch up near Punta Penia (3.342 m). The Marmolada is the so called “Queen of Dolomites”. It is possible to ski on 85 kilometers of downhill slopes. 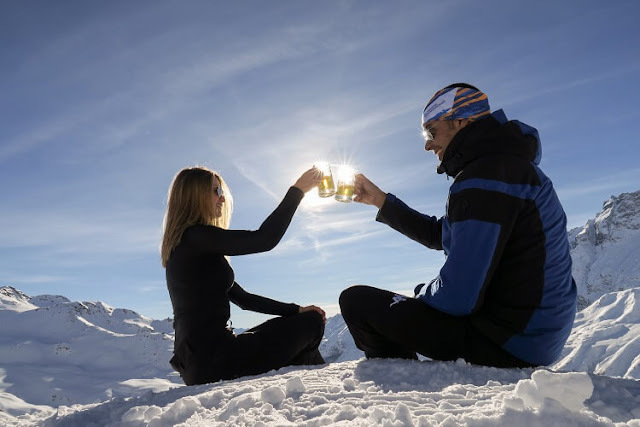 It is located a few kilometers from the ‘Passo del Tonale’, the alpine pass that connects Val di Sole to Alta Valle Camonica. 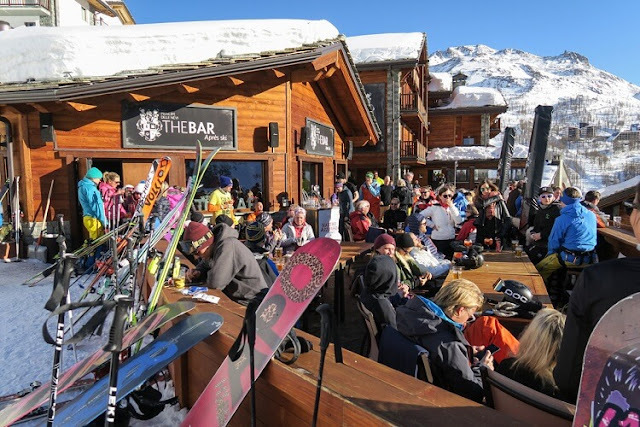 In the past years it has suffered a discreet buildingspeculation but it still remains one of the favorite places for Italian and foreign skiers. At the end of May you can meet groups of cyclists who are passionate about the ‘Giro D’Italia’, that used to appear several times in this area. Even central Italy has its pearl, set in the heart of the ‘Gran Sasso’. It offers 15 km of alpine skiing slopes and 60 km for Nordic skiing. Campo Imperatore, that is at an altitude of 1,800 meters in the province of L'Aquila, is also renowned for its film locations. Some scenes of ‘The American’, with George Clooney, was filmed here.